Life is a Traverse: Where have all the women gone? Despite studies by that show that participation in outdoor recreation is on the rise for women, I notice that solo female backpackers are still a rare sight. Even all-female groups of backpackers are hard to come by in the wilderness. Many people have pointed at the book Wild, which chronicles a women who finds herself while traveling solo on the Pacific Crest Trail, as a catalyst for increased use and impacts on the Pacific Crest Trail and John Muir Trail. However, it does not seem that the number of solo women on-trail has increased, even as trail numbers do for women do. Admittedly, it is difficult to track how many backpackers travel solo, much less how many women, so this evidence is mostly anecdotal via my own personal observation while living near and recreating in the greater Yosemite area over the past seven summers. However, there is one study from 2004 on the Appalachian Trail to corroborate my experience. It showed that women were more likely to hike with companions than alone. So, what's up with that? Are women more fearful of going alone? Is there more risk to women in the outdoors? Are women more social and less interested in a solitary experience? Are we not capacitating young women with enough outdoor skills to feel confident on their own? This is my inaugural blog post and I intend to look a little more deeply at these questions. Join me as I traverse into new territory. In the age of selfies, you would think going solo would be all the rage. Bennett, Stacia. "Where My Girls At? A Look Into the Absence of Females in the Backpacking World." Appalachian Trials. Disqus, 4 Nov. 2014. Web. Environmental Medicine 15.3: 175-80.PubMed Central. National Center for Biotechnology Information. Web. 7 Sept. 2015. "Outdoor Participation Report: 2013." Outdoor Foundation. Outdoor Foundation, 2013. Web. 4 Sept. 2015. Thomas, Liz. "Hiking as a Woman -." Liz Thomas: Long Distance Adventure Hiking. Liz Thomas, 2013. Web. 4 Sept. 2015. Woerner, Amanda. "Going 'Wild': Why More Women Are Seeking Out Adventure." CNN. Cable News Network, 22 May 2015. Web. 4 Sept. 2015. 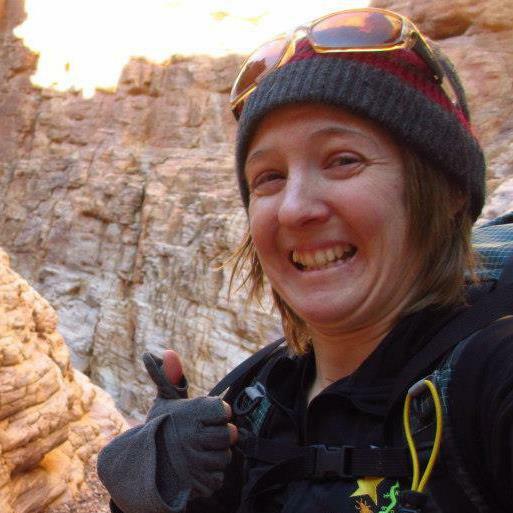 "Women in the Outdoors: Numbers on the Rise." Southwick Associates. Southwick Associates, 2013. Web. 3 Sept. 2015. Interesting question! As a woman who has been a few solo trips, and now rarely does them, I think I can add a quick data point: my solo trips were usually the result of wanting to do something and not having someone to do them with, either because of time (3 weeks off for backpacking, or 2 months to drive to Alaska) OR because I just didn't have any good reliable outdoor buddies. When I've had friends available, I've almost always preferred to go with them. So yeah, I guess I usually DO prefer the social aspect. As far as my solo experiences - I wouldn't say they were solitary. One of the great advantages of being solo is the ease at which I was able to make friends. I partially attribute that to being bored with myself, and thus very attuned to and interested in everything and everyone around me. I have done a few solo trips and I think I was a little nervous to sleep without anyone else around. I often "hid" myself so I wouldn't be an easy target and I never thought that way when backpacking with friends. I guess I am odd because the vast majority of my trips have been with other women. In fact, I am going out in a few weeks with two girlfriends!